Attached is our review of this year’s mental health budget. There will likely be more information in the coming days. MHANYS budget agenda is traditionally broad given our mission as an organization. This year our major focus was around Workforce and Mental Health Education in Schools. As always, other initiatives were of great importance as well including Housing, Veterans Issues, Criminal Justice Reform, Parity, Mental Health First Aid, Prescriber Prevails, Geriatric Mental Health, the Justice Center and much more. Below is a breakdown of each of the initiatives. The caveat is that this is a first read and we will revise in coming days in all likelihood. As we referenced the other night, we did not get a Human Service COLA in this year’s budget. This is very disappointing given that the behavioral health advocates and Strong Non-Profits and others spoke with the same voice on this issue, and it would have positively impacted our entire sector. We were advocating till the very end. An especially frustrating aspect of the advocacy was that the amount of money was not that large in relation to the entire Budget. This is an unfortunate reflection on how underappreciated the human service workforce is despite their incredible work to save lives and support hundreds of thousands of vulnerable New Yorkers. We will be around to fight another day. We have mobilized like never before. We have incredible support from our Mental Hygiene Chairs—Senator Carlucci and Assemblymember Gunther, and many individual members. We will learn from this effort and come back next year with a stronger advocacy campaign. We are here to stay. While there was no COLA in the final budget, there was funding for the mental hygiene sector workforce specifically. Enacted is a two percent funding increase for direct care workers in OMH, OPWDD and OASAS programs effective January 1 of 2020. Effective April 1 of 2020, there will be an additional two percent funding increase for direct care workers as well as a two percent increase for clinical staff. From a mental health perspective, over 80% of our workforce will get a salary increase. We all advocated for a lot more than that for the entire sector but this will help give some funding to a desperately underfunded workforce as we continue to raise momentum and visibility in the next fiscal year. This year the Governor and the Legislature agreed to provide $500,000 in the Budget specifically for the MHANYS School Mental Health Resource and Training Center. We are very appreciative of the Governor’s support and recognition of the importance of mental health in schools. The Resource Center has served thousands of teachers, administrators, students and families by providing support and greater understanding about mental health and wellness. There has been a great deal done with the funding to date including reaching over sixty percent of New York’s schools. As we have been saying recently, mental health in schools might once have been a concept but now it is a movement. The work that has been done in New York State is now taking shape in other states like Massachusetts, Virginia, New Jersey, Tennessee and many other states. We have even received interest from other countries as well. You can see it manifest itself in so many other ways including having over five hundred people at our Mental Health Matters Legislative Day including three hundred students from all across the State. Mental Health in Schools really matters and it has become a significant mental health issue. 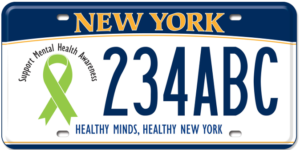 MHANYS is pleased to be a leader in working with the New York State Department of Education, OMH and our colleagues in the Education and Mental Health Communities on this issue. We are disappointed that we were unable to get an additional $500,000 to match our funding from last year, but we will continue to raise the visibility of the issue and explore other funding options. We are building strong relationships with the Senate Education Chair, Shelly Mayer and the Assembly Education Chair, Mike Benedetto who both recognize the importance of mental health education in schools and have been completely supportive of our goals and vision on this issue. The Governor included $10 million in this Budget to help raise the rates for existing mental health housing programs. Our members and other housing providers across New York continue to struggle with existing rates to help insure the quality of care necessary to take care of our loved ones. Much like the rest of our sector, they are selfless in helping people but they are continuing to struggle to help ends meet. The Bring It Home campaign continues to raise the visibility of this issue and the hope is that there will be future funding in place. I know it has been a major disappointment to not get any more funding this year. We will continue to work with our colleagues on this. In many ways, the most positive piece that has come out of this year’s budget is a broad-based Parity initiative making New York one of the strongest if not the strongest State in the nation in regard to parity. This program has long been a priority area for MHANYS and we thank Senators Carlucci and Brooks and the other members of their committee including Senator Ortt for their strong support of funding for the Dwyer Veterans Program. The Senate included $3,735,000 for the Program and the Assembly added an additional $300,000 for a pilot program in New York City. I can’t say enough how important this funding has been to help our veterans in finding a ‘safe’ place to talk about their mental health needs with their peers. Several Mental Health Associations run Dwyer Projects and it is an honor for members to work with such a courageous group of individuals. We thank Senator Carlucci and the other committee members for their strong support of Crisis Intervention Teams in this year’s budget. There is an inclusion of $412,000 in the budget for this evidence based best practice. Over the last several years, New York has become a national leader in CIT. While advocating for our issues, I can say there has been an incredible presence on a daily basis by our colleagues at the HALT campaign who seek to ban solitary confinement for individuals with mental health disorders. While this ultimately was not included in the Budget, it will be aggressively advocated for during the balance of the Legislative Session which concludes in June. Every year the Executive decides to eliminate the protection of allowing prescribers in consultation with the individual to overrule a denial that is not in a plan’s formulary. Thankfully through the leadership of the Health and Mental Health chairs in the Senate and Assembly and the advocacy of MHANYS and many other patient groups, this unwise proposal was rejected. This year’s the proposed budget included language that would have taken the authority of the Justice Center away from inpatient hospitals. MHANYS and other advocates disagreed, given that it would have created a bifurcated regulatory system where outpatient programs would be treated differently than hospitals. We are pleased that the Legislature rejected that cut. We were pleased that there was $100,000 in the budget to continue to help fund MHANYS Mental Health First Aid Program with our members across the State, including Rockland County. We want to thank Senator Carlucci for his leadership in supporting this evidence-based program. Over 1.5 million people across the country have been trained in Mental Health First Aid. At MHANYS, we believe it should be 327 million people (the population of the United States). This funding will help train our members to spread the word and continue to make the MHAs the statewide go to agencies for Mental Health First Aid. Despite the strong advocacy of the Geriatric Mental Health Alliance, there was no additional funding in this year’s Budget. We were hoping to get an additional $2 million on top of the existing $2 million. The Alliance did a great job in raising visibility. There is an additional $11 million in this year’s budget for community reinvestment. Our members across New York have utilized this funding to help support a lot of programming that has been helpful to individuals. We are pleased that there is now over $100 million in the existing base for reinvestment funding. I think is it fair to say that there are many of us that are very upset that we did not get a COLA this year. Raising awareness and building coalitions doesn’t help put food on the table now for our hard-working staffs in not for profits agencies. This workforce is over 80% women, and over 46% women of color. There is a collective righteous anger out there about the COLA. Our dedicated and underappreciated workforce is woefully compensated and other health sectors seem to get the lion’s share of the funding. Our anger alone is not a successful strategy. We have to use our frustration to positive ends. As one of MHANYS leaders Sylvia Lask always implores us, ‘vote, vote, vote’. Our constituency does not have the money of the large interests in Albany but I know from all we do that we do have strong voices. When we coalesce, we are powerful. Think about how virtually everyone is impacted by mental health challenges either directly or indirectly. If we had that kind of constituency voting for candidates based on their stand on mental health issues, think of how powerful we would be. Everyone would pay attention to our community and our needs. Thanks to everyone who helped raise these issues. We did not get nearly what we needed, but we got some positive pieces in the final Budget and that never would have happened without your voices. We need the thousands of you to never give up and continue to speak out in support of mental health.